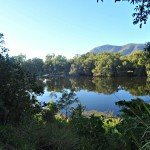 Living in North Queensland means we get to see plenty of Australian birdlife. There are Australian Parrots and Black Cockatoos like the ones shown below. 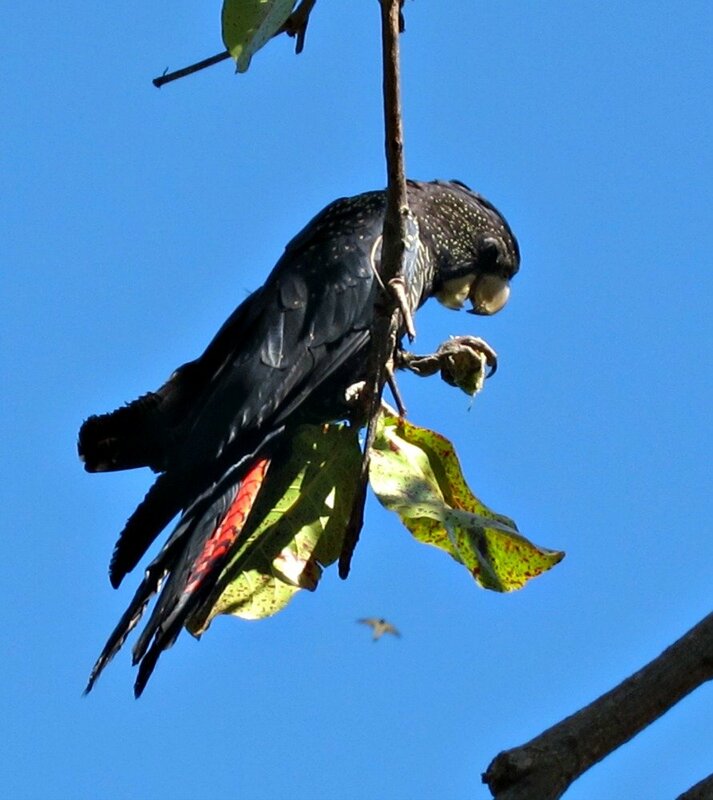 The birds of North Queensland are enjoying a Christmas Feast especially for them. 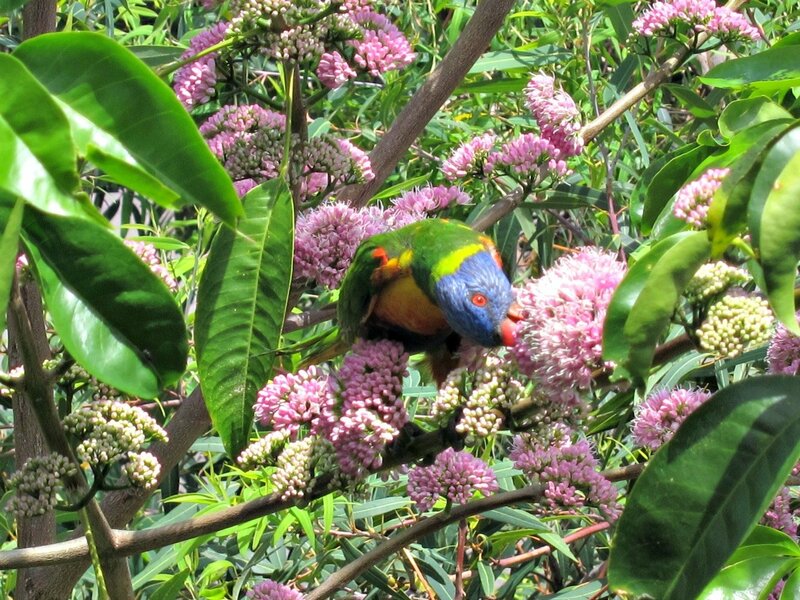 Rainbow Lorikeets are Australian native parrots that love the pink blooms on Euodia Trees – the same trees that attract the stunning Dunk Island Blue Butterfly. 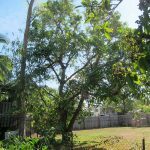 This Euodia Tree is in the front yard of our Townsville home. Our trees are of the native untrimmed variety, although we do have grass which is pampered and mown into a lawn (except when we are away when it reverts to dry Savannah). Our first Euodia tree fell over in a cyclone but we planted another and it grew quickly. It puts us on the map as far as the iridescent Dunk Island Blue butterfly is concerned. They are not always around, so when I spotted one the other day I grabbed my camera and raced onto the verandah. 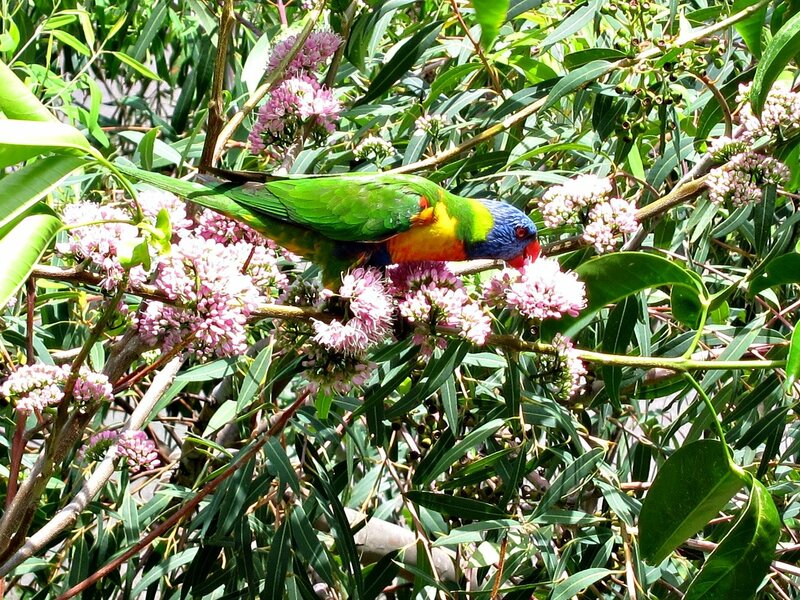 Instead I found RAINBOW LORIKEETS, our favourite parrots, having an early Christmas Feast. One of them eyeballed me but they both kept right on gorging themselves. 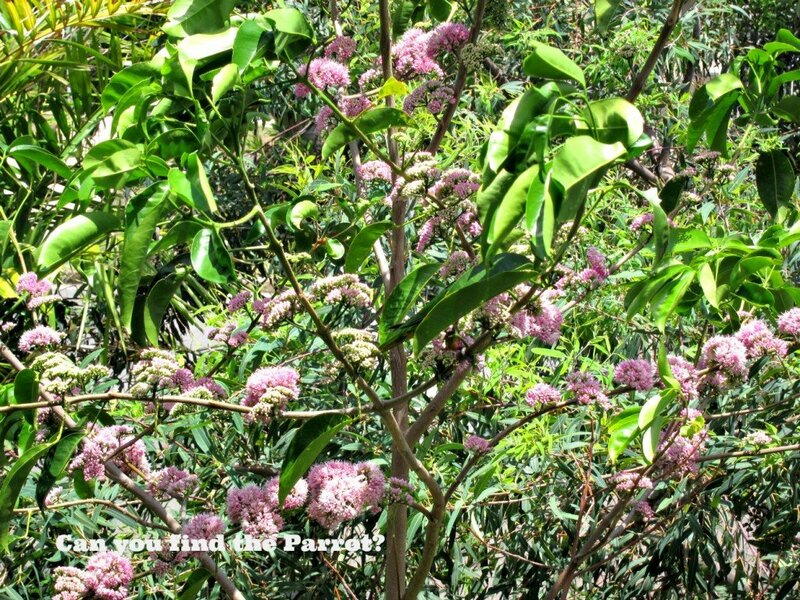 The flowers are on the same level as our verandah so bird and butterfly watching comes with the territory. 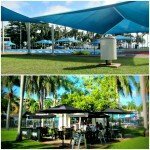 Recent morning walks along THE STRAND on Townsville’s foreshore have revealed other raucous Christmas parties in full swing. 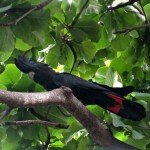 The Pacific Beach Almond tree is the host of these Black Cockatoo Only shindigs. Black Cockatoos are the ultimate party goers (check out the festive red) and for weeks they have been screeching happily from the tree tops. Broken branches and half eaten nuts tell the story. I got whacked on the head while walking the dog the other day and can tell you, I screeched as well. 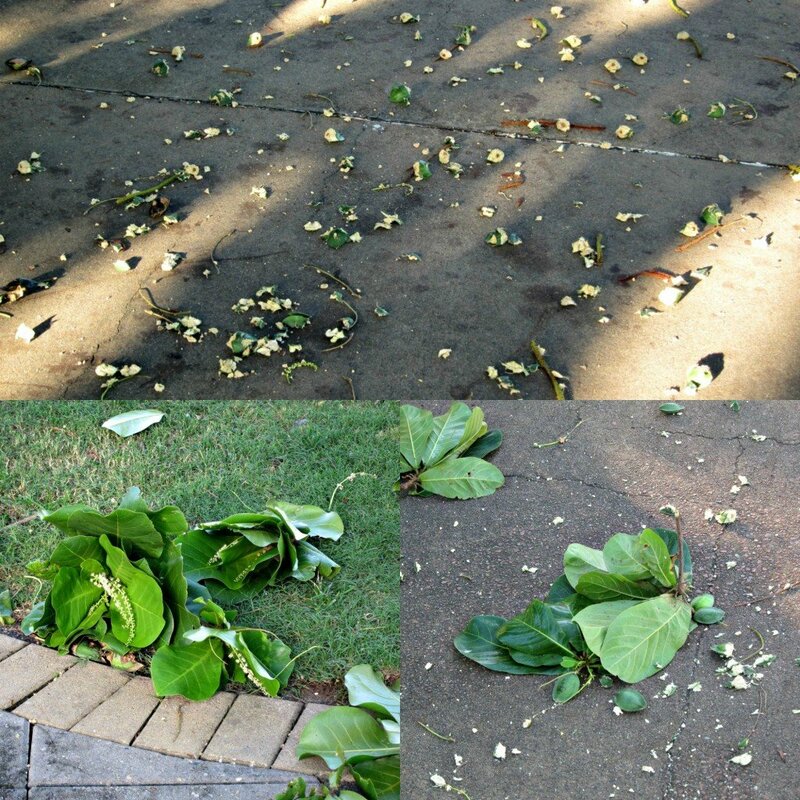 We wish you a Merry Christmas from Townsville, and may all your Christmas Feasts rain with flowers and nuts and may Council workers clean up your after party mess too. Do you host wildlife parties in your part of the world? Oh how I wish I had those birds to make a mess in my yard! You’re so lucky. 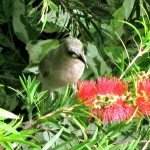 While in Alice Springs several years ago, we stayed in a lovely cottage where the Lorikeets and Galahs frequented the backyard feeders. Love those guys! Wishing you a wonderful holiday season with lots of hugs. 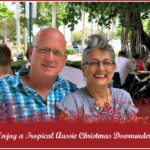 Merry Christmas Josie – I was thinking about you the other day and was trying to remember to wish you a merry christmas. Thanks for commenting – I love these birds too.